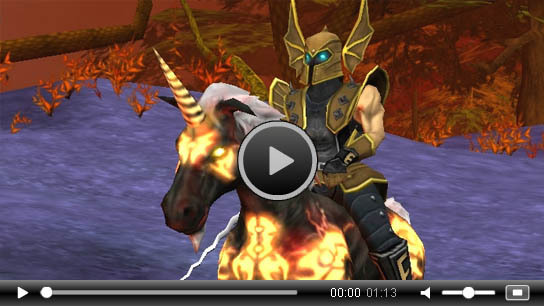 Free MMORPG at MaidMarian.com - We feature free MMORPG massive multiplayer online 3D web games. 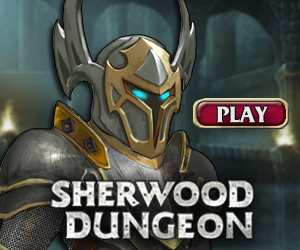 Sherwood Dungeon RPG features an infinitely deep dungeon with monsters and treasure. Defend your honor and chat with players around the world. Maid Marian Entertainment Inc. is a leading developer of next generation web based games specializing in community oriented multiplayer games. Imagine 3D virtual worlds, where you explore and interact with players around the world � all on a web page. All MaidMarian.com games require Shockwave. The Defend your honor in combat and meet players from around the world in an infinitely deep dungeon filled with monsters and treasure. A massive multiplayer social hangout where users from around the world can chat, dance, drive and create music in a fun 3d environment. Club Marian features three islands to explore, a cool music maker, emotes, customizable avatars and a sports car to drive. About Maid Marian Entertainment Inc. Maid Marian Entertainment Inc. is a leading developer of next generation web based games specializing in community oriented multiplayer games. Imagine 3D virtual worlds, where you explore and interact with players around the world � all on a web page. No retail box to purchase and no cumbersome client software to download and install. Just click a link on our website and you�re in. We deliver immersive multiplayer 3D experiences right to your web browser. Maid Marian Entertainment Inc. is in the business of creating online escape and we intend to revolutionize the way massively multiplayer games are delivered. Games like Sherwood, Marian's World and Moon Base are milestones in the journey towards that goal, bringing together an online community of like-minded players. We intend to push the envelope both through technology and visually so our 'experiment' continues to represent the state of the art. Do you want to put a MaidMarian.com game on your own site? As long as you follow our linking policy, we can help make that happen. We even provide some html code examples. Follow this link for details.